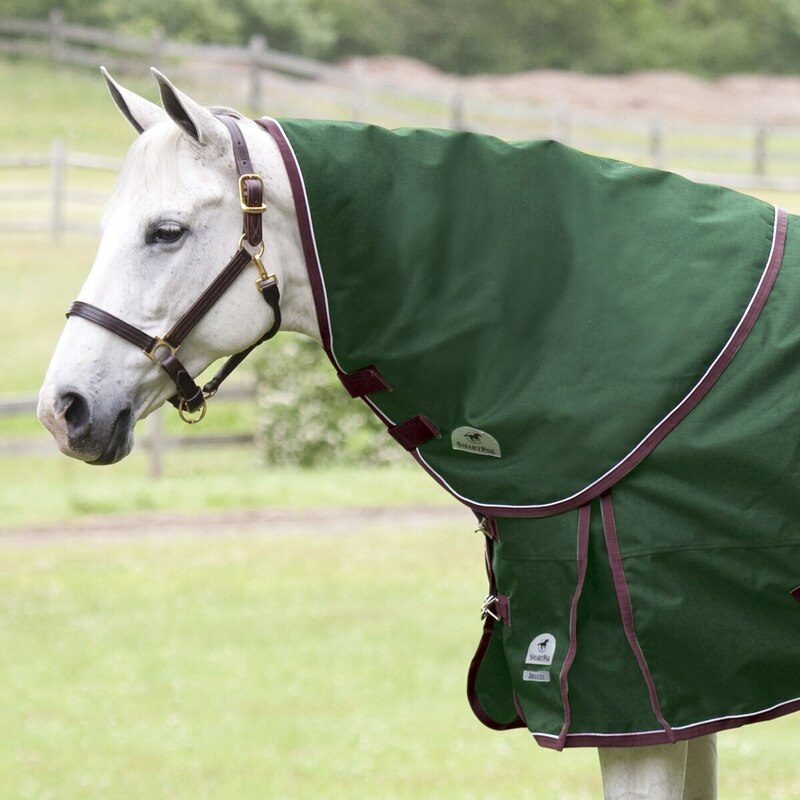 SmartPak Deluxe Neck Rug - Clearance! 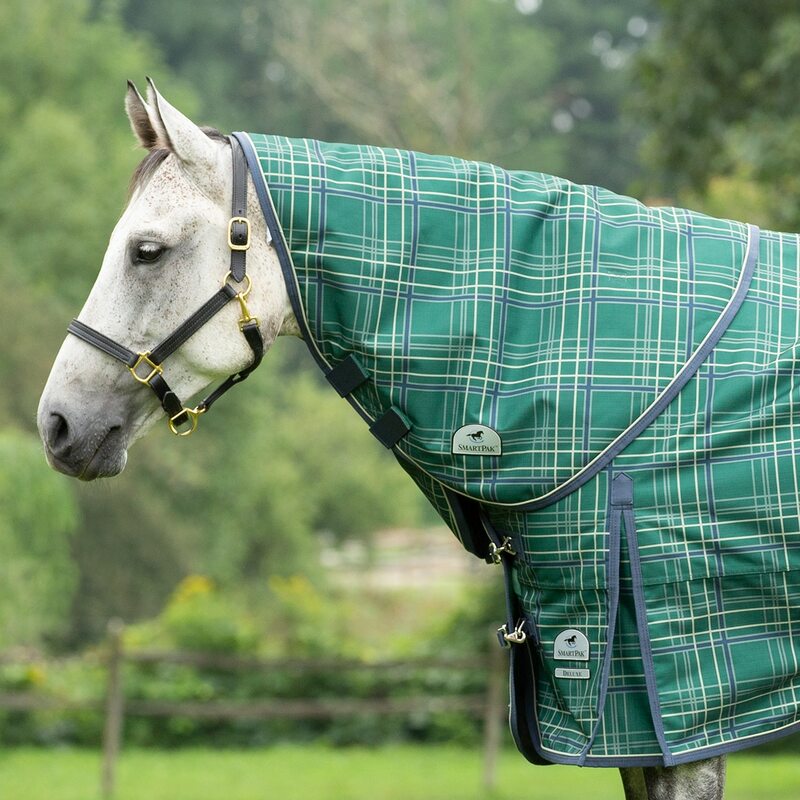 Experience full neck protection against the elements with the SmartPak Deluxe Neck Rug. 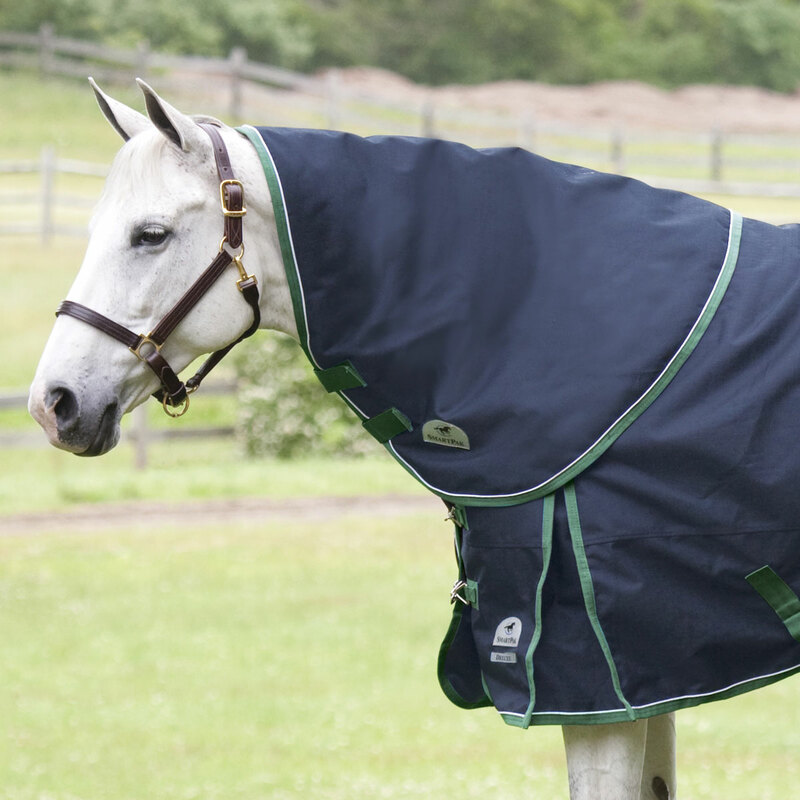 SmartPak Deluxe Neck Rug - Clearance! is rated 4.6 out of 5 by 5. Rated 5 out of 5 by Stonebroke Farm from Nice neck rug and beautiful green color! I love this is in by barn colors of hunter green green and burgundy. I hate they've discontinued this color for the turnouts. Rated 5 out of 5 by Trace0306 from Fits well! I bought this when the temperatures here got really cold! It attaches very easily to the blanket, and the Velcro closure in the front of the neck cover makes it a little more adjustable than the covers with snaps. I like the fact that this neck cover is also insulated, so it not only keeps my mare dry but warm too. Rated 3 out of 5 by 2LeftSocks from for thick necks only My horse has a long neck, but average thickness. He has no trouble wearing Horseware Rambo turnouts with neck options, nor Rambo or Amigo flysheets with neck options. I ordered this neck cover to go with the awesome 10yr guarantee blanket (which I liked) but the neck cover while long enough, had WAY too much material under his neck. Reminded me of a turkey's gobble. It was a medium which was the size recommended for his size 75 blanket and 15.2hh size (see photo). I did order a small to see if it was better and while it was actually perfect in the neck, it only went up half his head in length. Because I keep him clipped, I need the neck cover and therefore had to forgo on the whole blanket as well. I also did not care of the ginormous clip attachment right at his withers - ow! that seems like it would hurt when horses roll. Rated 5 out of 5 by jeepers from keeps my horses neck warm this warmer doesn't shift and attaches easily. good weight.